The way Britain is governed has gone wrong and is in urgent need of reform, a group of former Whitehall chiefs has warned in a highly critical report. The former civil servants paint a picture of badly trained ministers rushing through "ill thought-out" legislation to satisfy media demands. And they say "political point scoring" has become more important to ministers than solving actual problems. They call for fewer, better laws and an end to constant ministerial job moves. 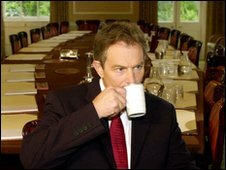 The Better Government Initiative was compiled by 14 former senior civil servants, including Lord Butler, who carried out an inquiry into intelligence leading up to the Iraq war, current Iraq inquiry chairman Sir John Chilcot and Sir Thomas Legg, who is overseeing the audit of MPs' expenses. At the report's launch, Lord Butler, the former cabinet secretary, said the Personal Care at Home Bill, currently going through Parliament - which would guarantee free personal care for the 280,000 people with the "highest needs" - could eventually "be regretted as much as the Community Charge [better known as the poll tax]". The report says: "There has been too much legislation in recent years, some of it has been unnecessary and too much of it has been badly prepared." It says ministers are moved on too frequently to get a proper grip on their departments, with even successful ones only lasting an average of three years in their roles. "The complexity of government and ministers' increasing involvement in detail can place ministers in situations which are unfamiliar to them and for which they do not have reference points that are within their own knowledge or experience. "The situation could be improved through training for ministers before they were appointed, initial training on their appointment, and continuing training and development as in all other professions." The report lays much of the blame for bad governance at the door of the media, which it says has stopped scrutinising government reports and speeches in favour of demanding short-term initiatives and legislation. "The media's increasing appetite for policy initiatives has been a prime source of the high volume of often ill thought out legislation. "A short distance sometimes separates a media release from a policy statement that triggers the preparation of a Bill. "A consequence has been that a higher proportion of Bills now enter Parliament incomplete, poorly explained, and requiring substantial amendment." 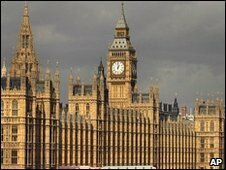 It says Parliament no longer effectively scrutinises legislation and backs calls to beef up the role of select committees. The report also criticises both the informal "sofa" style of government pioneered by Tony Blair and Gordon Brown's reliance on special advisers, rather than impartial civil servants, during his time as chancellor. "One effect was that there was little or no point in departments' seeking to engage the Treasury on major issues at official level," it says. "The only effective channels of communication to the chancellor lay through the special adviser network. "Obviously there were some policy successes under this system (for example, independence of the Bank of England); but the track record on economic management, public expenditure planning and control, and financial regulation as well as on public sector change (for example, the introduction of tax credits) has increasingly come to be questioned." The report singles out for special criticism special advisers who "claim knowledge of the minister's wishes and the mantle of his or her authority to the point where on occasion advisers at the centre have effectively been directing the actions of accountable ministers in departments - without any authority to do so". The ex-Whitehall chiefs cite examples of bad laws that have resulted from the way government now operates, including the poll tax of 1990, the Dangerous Dogs Act of 1991, the failure of the Child Support Agency, the Hunting Act 2004 and the story of the Millennium Dome. The group's report says: "Policy failures have often been cumulative as one new initiative and one act of Parliament has followed another on the same subject." It says governments have created "perverse incentives" and "unintended consequences of targets and performance indicators". There is "confusion and loss of expertise resulting from frequent changes of policy or organisation and movement of staff to meet new demands", it adds. The report also argues that there has been "loss of direction as one initiative is laid on top of another, or 'trialled' and 'rolled out', distracting attention from ordinary business". It criticises "excessive bureaucracy in prescribing new systems or procedures" and "a 'tick-box' culture in which complying with the rules replaces responsible judgment and individual discretion". The group says Whitehall departments "should focus on developing policy and monitoring performance rather than day-to-day operations" and with less interference from central government. It sets out a series of recommendations and suggests that the possibility of a hung Parliament in the near future may make it harder for politicians to ignore them. "Some parties may even make changes of the kind we propose a condition of joining a coalition or supporting a minority government," it says. The Better Government Initiative report is published in full on its website.